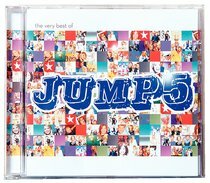 Now you can listen to your favourite Jump 5 dance pop/rock hits on one album! Includes 'Spinnin' Around,' 'Throw Your Hands Up,' 'Beautiful to Me,' 'All I Can Do,' 'Do Ya,' 'We are Family' and more - plus three new songs! About "The Very Best of Jump 5"